King John demands the answers for three of his questions from the Abbot of Canterbury. The answers will decide the Abbot’s fate: he will either be killed or his life will be spared. 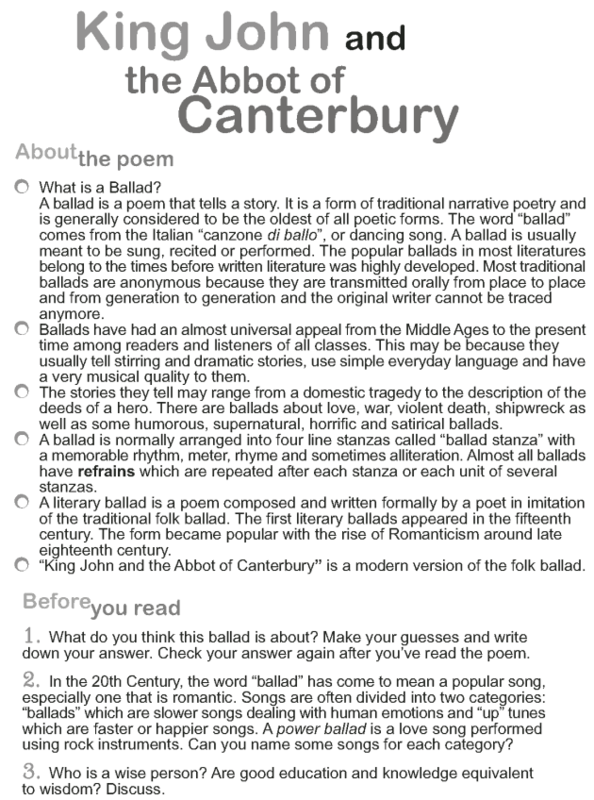 Let us read this ballad titled King John and the Abbot of Canterbury and find out what happens to the Abbot of Canterbury.